Does your child love to dance? When it comes to music and movement, young children embrace the fun and joy of dancing to the beat or creating their own interpretation of songs. Here are three benefits of dance education for preschoolers. Preschoolers benefit from age appropriate instruction that enhances their physical, emotional, and social skills. When it comes to having fun and learning to dance, the most engaging classes will include basic elements of creative movement, tap and ballet, vocabulary, and musicality. If you're looking to encourage self-expression, creativity, and imagination a creative movement based dance class is a good fit for your child. Young children experience the love of learning through dance and music. There is a feeling of accomplishment for your child when they learn a new step, stretch their body, and work together with their class. Dance is story telling through movement. A class that engages the child in age appropriate activities incorporating drama, music, creative movement along with the excitement of basic dance steps gives young dancers skills for self-expression through art. Over time, children build their skills and deepen their understanding of rhythm and song and how it relates to the visual art of dance. Regardless of skill or experience, dance gives children a freedom to move in a way that reflects their uniqueness. As a group, dancers can create a piece for an audience thus deepening their appreciation for dance as a performing art. Young dancers gain a respect for the art and heritage of dance as a performing art when they are given an opportunity to actively participate in class. There are joys and growth occurs when dance education is delivered in a disciplined, yet positive environment that encourages the development and full self-expression of each dancer, regardless of age or experience. 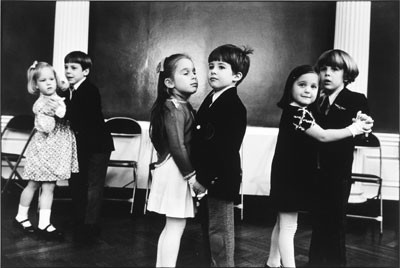 Over time, young dancers will discover that there will always be new steps to learn that build on one another. They are inspired to try new things once they master skills along the way. These benefits enhance learning at home, in school, and in other activities. Children as young as two years old can enjoy the benefits of dance education. The key to keeping it fun is to find a program that has creative movement at the core. Seek teachers and schools that understand the unique needs of early childhood. Ask questions to determine whether they are a good fit for you and your child based on curriculum and instruction methods. Try some classes to see if your child is happy and learning new things along the way. Exposure to dance and performance gives young children another way to express their emotions through story-telling plus reap the benefits of moving their bodies through a physical art form. Dance is a powerful ally for developing many kind of attributes of growing children. 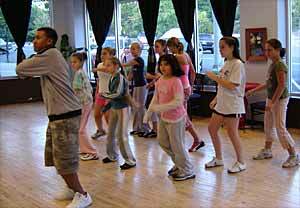 Dance can help children to mature physically, emotionally, socially, and cognitively. most popular info belong to Benefit Of Dance with Dance education instills the love of learning and growing. thanks for bring with us. Benefits of Dance : Shall We Dance? 2010 All Rights Reserved Benefit of Dance.